Exposure bracketing is a technique where, instead of taking a single photo, you take three (or more) that are all exposed slightly differently; normally one is correctly exposed, one slightly underexposed, and one slightly overexposed. It’s in quite a few situations, so let’s look at how it works. Getting exposure right can be a complex subject. There are lots of things you have to balance: how your camera is metering the scene, your camera’s dynamic range, and of course, what settings you’re using. 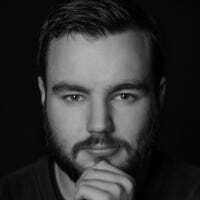 You might also be trying to deliberately overexpose your photos a little to get more data in the RAW file without going too far and blowing your highlights. With all these moving pieces exposure bracketing is a solid technique for making sure that you get a good exposure while you’re on location—there are some things you can’t fix in post. By also taking one photo that is a stop or two underexposed and another that is a stop or two overexposed, even if you misjudge your exposure, you still have the bracketed shots. Landscape photographers sometimes refer to bracketed shots as “safety shots” for this reason. If you shoot bracketed shots, there are also a few more advantages: you can always create an HDR image, you can blend different parts of the image yourself if you need to, and, if something is moving through the scene, you can replace it with original image data instead of relying on Photoshop’s tools. Now, exposure bracketing only works well in certain situations. It’s really a landscape or architecture photography technique. If you’re photographing people, pets, or anything else that moves a lot, you won’t be able to shoot bracketed exposures; instead, you’ll just be taking different photographs with different exposure values. There are two ways to take bracketed exposures: manually and automatically. RELATED: What Shutter Speed Should I Use With My Camera? To manually take bracketed exposures, set up your camera for a shot as normal. You’ll get the best results if you’re using a tripod, but it’s not essential. As soon as you take your first shot, adjust the exposure compensation, shutter speed or ISO by around one stop and take a second shot. Adjust the shutter speed or ISO two stops in the other direction and take a third. Now you should have three identical photos that are one stop underexposed, correctly exposed, and one stop overexposed. To automatically take bracketed exposures, you’ll need to dive into your camera’s settings. The procedure is a bit different for every camera so check the manual for the specific steps. For my Canon 5D Mark III, it’s called Exposure Comp./AEB Setting. Look for something called Bracketing, Exposure Bracketing, EB, or the like. 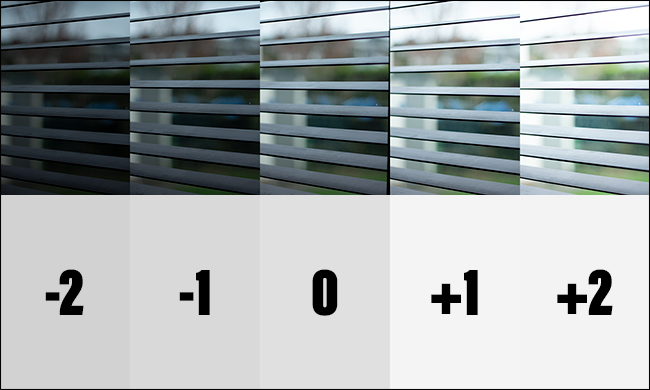 There, you’ll be able to adjust the exposure compensation, as well as the bracketed shots. In the image above, I have my camera set up to take one underexposed shot, one overexposed shot, and one shot as metered. Depending on your camera, there may also be additional options to set what order the shots are taken and whether there are three, five, or even seven frames. 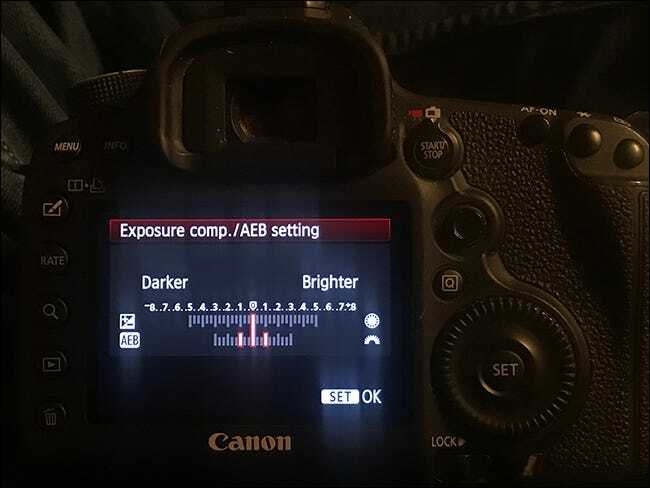 Once you have exposure bracketing set up like this when you hold your finger on the shutter button your camera will take a burst of photos varying the shutter speed each time. The advantage of bracketing manually is that you can adjust either the shutter speed or the ISO—adjusting the aperture changes the look of an image too much. When you use your camera’s automatic bracketing, it only adjusts the shutter speed, but it’s quicker and works automatically once you have it set up. Go with whichever option works best for your situation. Shooting bracketed exposures is a nice safety technique, especially for landscape photography. If I’ve gone to the effort of setting my camera up, I usually shoot a few bracketed frames just in case I need them.